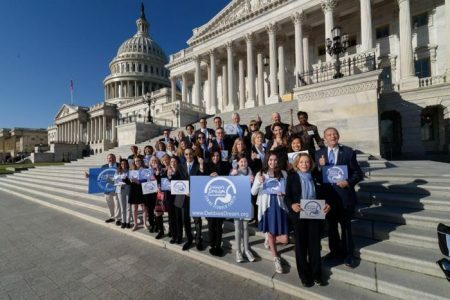 Join DDF advocates and supporters from across the nation as you travel to Capitol Hill to ask Congress to invest more federal resources in gastric cancer research and to again include stomach cancer as one of the cancers under the PRCRP. Per cancer death, stomach cancer receives the least amount of federal funding of any cancer. We NEED you to fight for the inclusion of stomach cancer with your compelling stories and/or data that stomach cancer is connected to those who proudly serve in our military. Inclusion of stomach cancer in the PRCRP is a significant milestone that DDF accomplished through its advocacy efforts in 2014. Never been an advocate? Join us on Monday, February 25 for an afternoon of training and getting to know your fellow advocates. We need you to be the voice of those who are no longer with us.